The $100-million, 50,000-square-foot new wing adjacent to the existing Seattle Aquarium is due to finish construction in 2023. 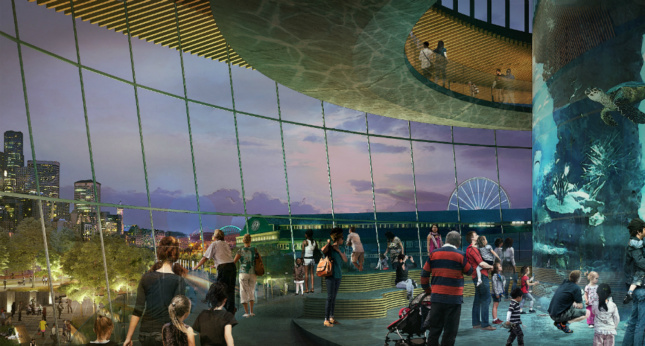 Seattle-based LMN Architects has released new renderings depicting the firm’s planned 50,000-square-foot addition to the Seattle Aquarium complex. LMN’s $100 million design focuses on adding a new wing adjacent to the existing aquarium to boost capacity at the 40-year-old institution, which has been operating near capacity in recent years. 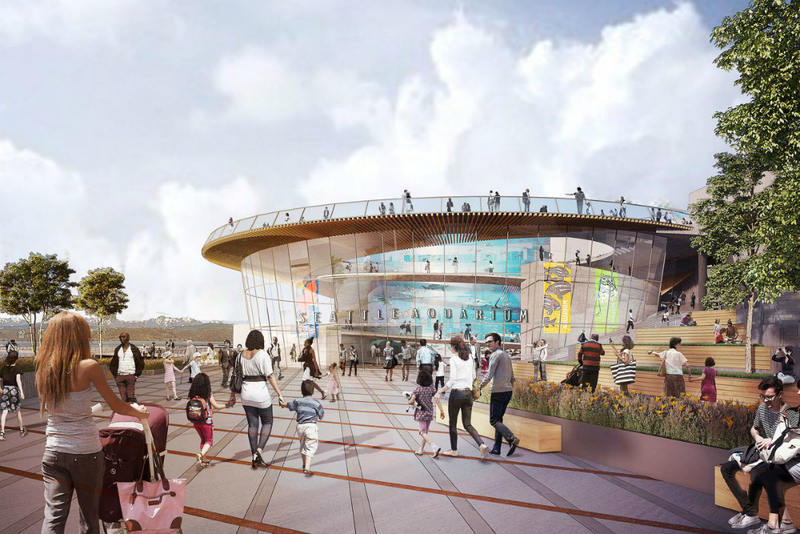 The so-called Ocean Pavilion will house new exhibits focused on tropical and reef ecosystems and will include a 350,000-gallon warm-water tank that can house larger aquatic specimens such as sharks. The shark tank will come outfitted with several viewing platforms and will be located within a larger, flexible gathering space that can hold up to 200 people in a variety of configurations. The new addition will also include smaller “jewel” tanks that will highlight rare species with the help of new interpretive technologies. This space will also include smaller, more intimate gathering spots for “hands-on educational activities and interpretation,” according to a statement from the architects. 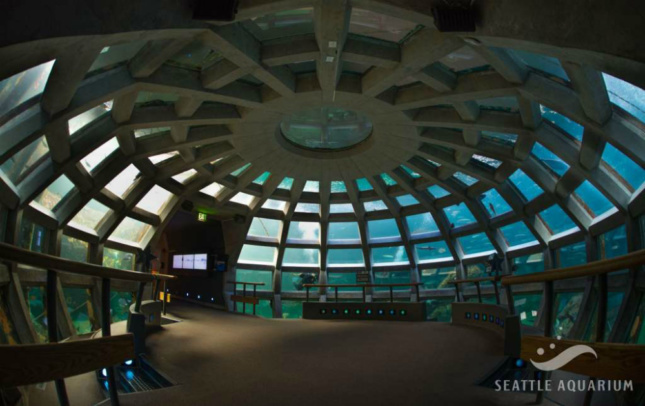 The complex will feature a warm water pool designed to hold sharks and other larger sea creatures. The proposed addition comes as work on the Seattle waterfront redevelopment plan by James Corner Field Operations (JCFO) progresses toward construction. JCFO’s plan would bring a network of pedestrian trails, streets improvements, and plaza spaces to an area currently occupied by the Alaskan Way Viaduct, a section of Interstate-5 that is in the process of being buried below the proposed improvements. Once the new tunnel is completed, the expanded aquarium complex will sit at the end of a generous pedestrian plaza and will have direct access to the improved waterfront areas and the newly reconnected downtown. The aquarium expansion is due to finish construction in 2023.